Feel you're too far away for our training? You're not! In the past year, we have worked with the British School Jakarta, The International School at Ho Chi Minh City, and UWC Singapore, as well as several schools at Open Courses in South Africa, Australia and New Zealand. Every booking with an international school is different. We don't have an off-the-peg, one-size-fits-all approach. Instead, we listen to you and find out how you want to embed P4C in your school, cluster or trust, and work with you to form the structure of the training. 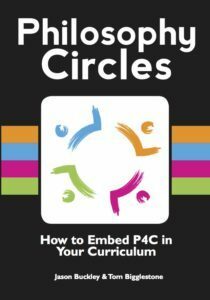 Our P4C training has three levels, each designed to embed P4C in a different area of school life. Each training begins with Level 1: The Philosophical Classroom, will show you how to get all the benefits of P4C through everyday teaching. Level 2: The Philosophical Teacher, and Level 3: The Philosophical School, usually follow a year after each other. Looking for a training course for just you? How do we work with International Schools? Opening / Closing Meetings with P4C Champions exploring problems that have come up, curriculum opportunities, possibilities for connections between classes and year groups, their professional development needs in leading P4C / Reviewing the week, looking at aspects of resistance and open doors for further improvements, considering how to support progress. If follow up visit planned for February, setting up those sessions. INSET Days: Full days to explore the three principles of Philosophy Circles, by experiencing classroom ready activities before looking under the bonnet, and teachers planning their own activities. Assemblies built around a question poem, to create a buzz around philosophy for the week and to provide a few examples of principles to act as “callbacks” in the initial twilight sessions. Ideally these would be the whole of one year group at a time. Twilight INSET to either introduce the three principles of Philosophy Circles as a flexible approach complementary to the 10-steps model, or if INSET has been delivered already, a mixture of trouble shooting based on questions captured from staff and also looking at a variety of types of stimuli and ways to identify them. 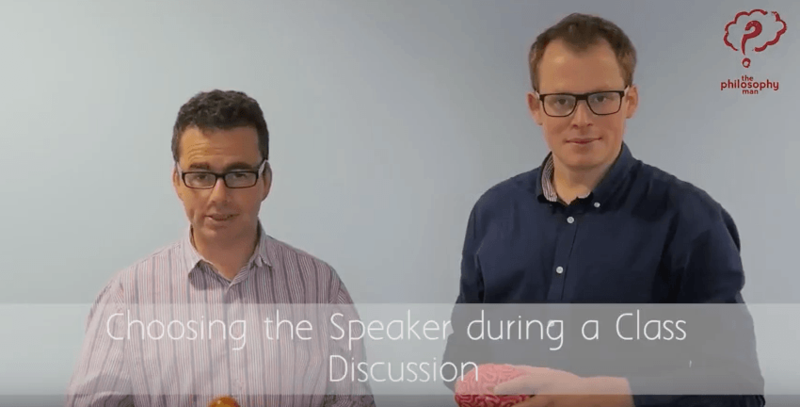 Sandwich Sessions - Combining a briefing, pupil workshop, and debriefing: Identifying some needs for development in the workshop class; pointers for what to look for during the workshop; workshop, debrief and diagnostic of what to do next with the class. The aim is to deepen connections between philosophy and wider planning of the year group team, to show a cycle of planning, facilitation and review for a particular class, and of course to model facilitation. Enquiry Dashboard INSET This session will mix people from different year groups, with a view to stepping back from the specifics of their class and engaging with the deeper principles and with thinking philosophically as facilitators and participants. Pairs of facilitators run enquiries on adult questions for ten or so peers, using the enquiry dashboard, with a final review session which would allow everyone to see how the diagnostic troubleshooter can be used to inform future sessions. Upper School Sandwich Sessions (30 minute briefing, 40 minute session with children, 20 minute debrief). 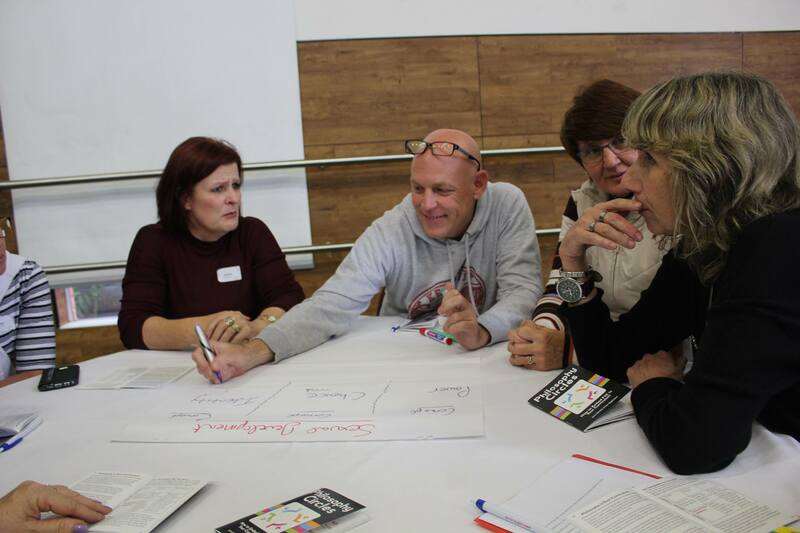 The "Philosophic-Topic-Proceessor" with teachers in Cape Town. "I cannot describe the buzz and vibe from the staff, all down to you." 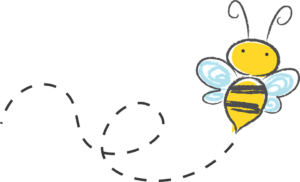 "You really did create a huge buzz in school, which is a difficult shout on the first day back! You covered everything we wanted out of the training and gave us mountains of material to use in class. I loved the fact you gave each phase some planning time to discuss ideas and plan sessions and then trial them out of colleagues. You have definitely given us some inspiration and I am very excited to see what happens next." 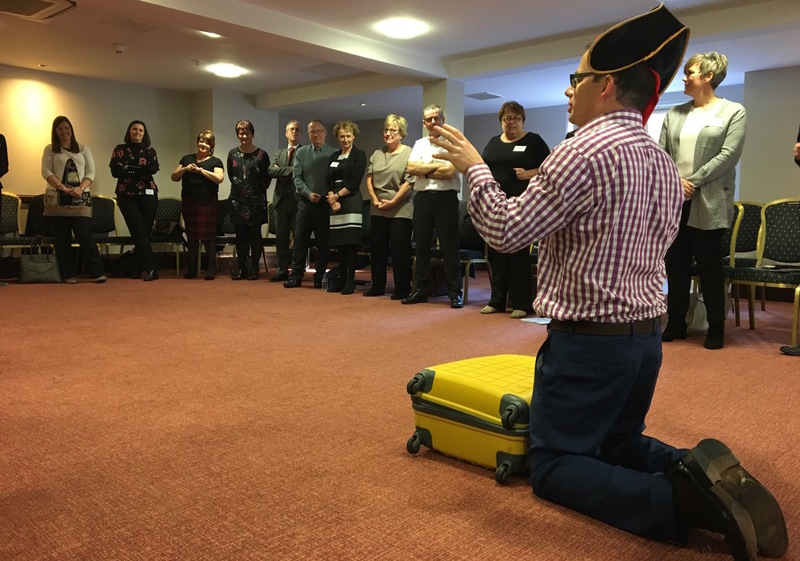 "There was a buzz during the staff meeting, which for any member of staff attending a staff meeting knows this is a rare thing! All the staff said how enthused and excited they felt to get back into their classrooms and try out the methods they had been shown." "The questions raised interested everyone and there was a real buzz in the room. Our training was full of practical activities and games, with the just the right amount of discussion about teaching techniques interspersed. What an inspiring day!" "It is us who would like to thank you. It was such an inspirational INSET and the staff were truly excited. Several of us have run introductory sessions with the children and although it is early days the enthusiasm is palpable." 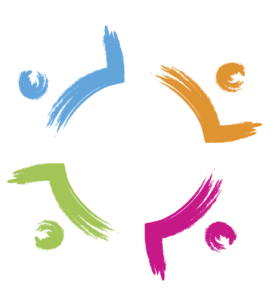 Interested in booking P4C training? Send us a quick message with your contact details below and we'll get back to you as soon as we can. Thanks for your message! Tom will respond as quickly as he can. All bookings include our Premium Pack of Resources - 150+ 30 minute sessions on the most popular school topics. It makes it another, richer way to do what you do already, rather than something else to squeeze in. Over 150 session plans with a consistent, easy to follow format, plus a wealth of supporting stimuli and other resources. 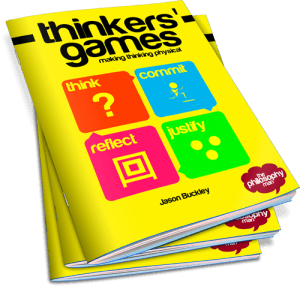 "The mini resource booklets are great too as they are concise and clear..."
These resources inspire and instigate current discussions with the children which can occur in many curriculum areas. The mini resource booklets are great too as they are concise and clear. The resources are practical, effective and require very little preparation- which is great! Though we have separate P4C sessions, we have easily and seamlessly begun to use it in other curriculum areas. What’s the difference between Philosophy Circles and “traditional” P4C? All P4C gets children thinking about challenging questions, where teachers act as facilitators rather than knowledge-givers. Traditional P4C follows a series of stages. Children see or read a stimulus, think about the ideas in it, create questions, evaluate the questions, and then choose one to talk about. In Philosophy Circles, the facilitator usually asks the first question, so the children get thinking and talking straight away. Children’s own questions and ideas still emerge and grow through discussion. Rather than strict stages, Philosophy Circles is built around three facilitation principles which run through the whole process, making it more fast-paced and versatile for use across the curriculum. The Founder and Director of The Philosophy Man. 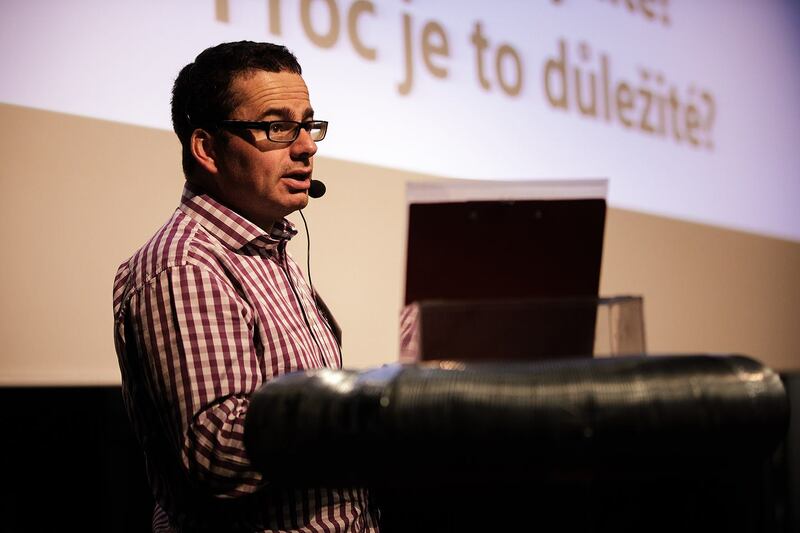 A life-long philosopher and former teacher, English, Jason is now an internationally renowned trainer, writer and speaker on P4C, classroom dialogue and stretching the more-able. He is author of three books, with more in the pipeline. Jason is also Director of Studies at GIFT, and also an outdoor education company, Outspark. In his spare time, he's a storyteller and improviser, and all these skills come together in his lively training, with minimum of Death by PowerPoint. Tom's courses are incredibly well-received as he continues to do philosophy with classes of children week-in, week-out through his role as teacher of Religious Studies at Bancroft's School, alongside his training role. He has been Head of Department at both primary and secondary level, and in both the maintained and private sector. He has specialised for several years in P4C, and in 2014 was awarded The Walter Hines Page scholarship, for which he spent time in the United States researching assessment of philosophical skills. 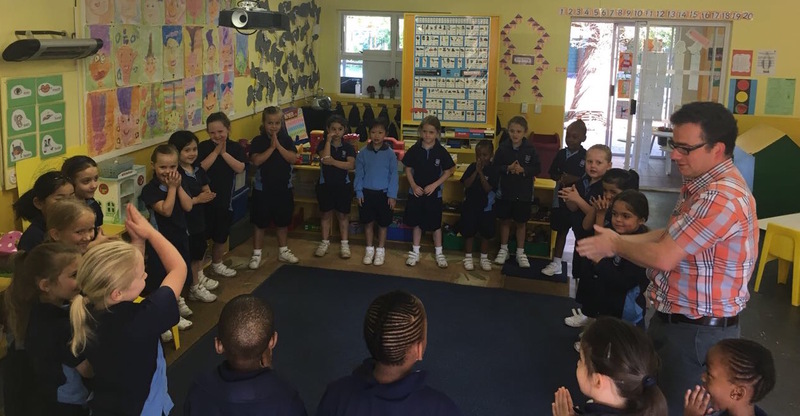 For the deepest impact and so we can guide you through the whole programme, most international schools choose three or more days of P4C training, including time to observe us working with children. We charge a flat day rate of £1250+VAT, with co-payment of expenses negotiable dependent on how much work which are already doing in the area. Please contact us on the form below for more details! If you have any questions, or would like to make a booking in person, please fill in this form. We'll get back to you as quickly as we can.